ERA Architects is prime architect on a groundbreaking project to rehabilitate and modernize an aging 17-storey CityHousing Hamilton apartment tower. 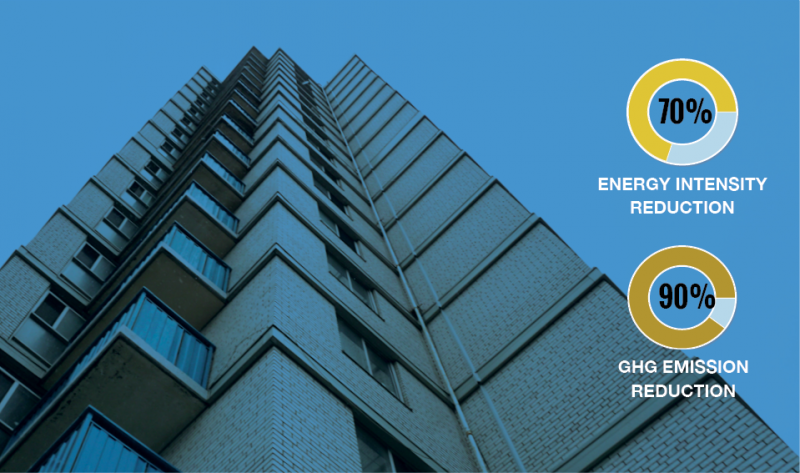 The Ken Soble Tower transformation will convert this asset, built in 1967, into state-of-the-art housing and set to become North America’s first Passive House retrofit of a multi-unit residential building. It will also lead the Hamilton’s West Harbour revitalization, shifting the conversation from affordable housing as a liability to affordable housing as a district landmark. 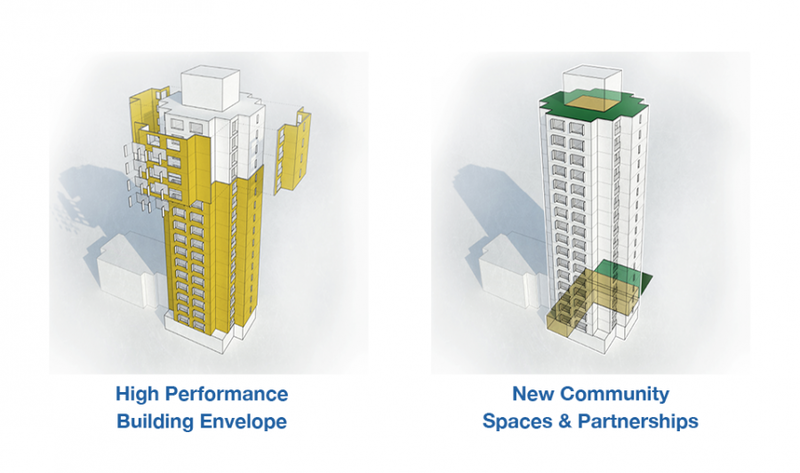 The Ken Soble Tower rehabilitation will reinstate 146 state-of-the-art units geared to senior citizens within a transformed building, alongside extensive accessibility and community amenity upgrades. The rehabilitated building will have enhanced common areas, including the creation of a new penthouse community cooling room. Community partners offering key services will occupy a portion of the ground floor. Construction is slated to start in early 2019.